Yesterday I discovered a new app that has already been a handy tool. You may have heard of The 5 Love Languages, by Garry Chapman. The series of books is meant to help people find a way to express love to their loved ones in a way that means the most to them. The new Love Nudge App is based on the books and has already been helpful to me. Right now it is free (I do not know if it will change in the future)! I am using ‘husband’ but it could very easily be ‘wife’ if you are a husband reading this. Available on for Android and iPhone, you download the app. Once downloaded you will be prompted to register or sign in. 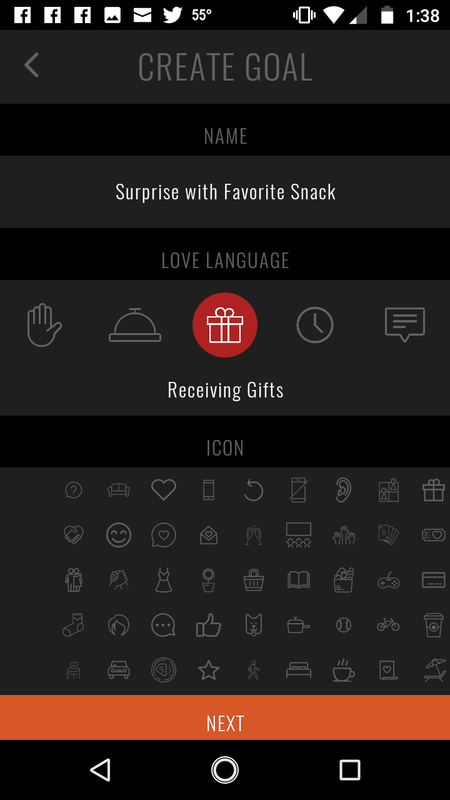 Part of the registration process is taking a quiz to help you figure out your love language. You can retake the quiz later if you like. Once you take the quiz, you are given a visual of your languages. While you are likely to have a dominant one, you may actually have a few languages that fill your tank. Knowing your languages, and your spouses languages, you can check out the resources tab for more information on each of the 5 languages. While you can use it alone, it is especially helpful to know what your husband’s love languages are, so you can best fill his love tank. When you send them the invitation they will receive a code that will link the account to yours. You can let hubby know how much you are feeling the love, and track your love tank. 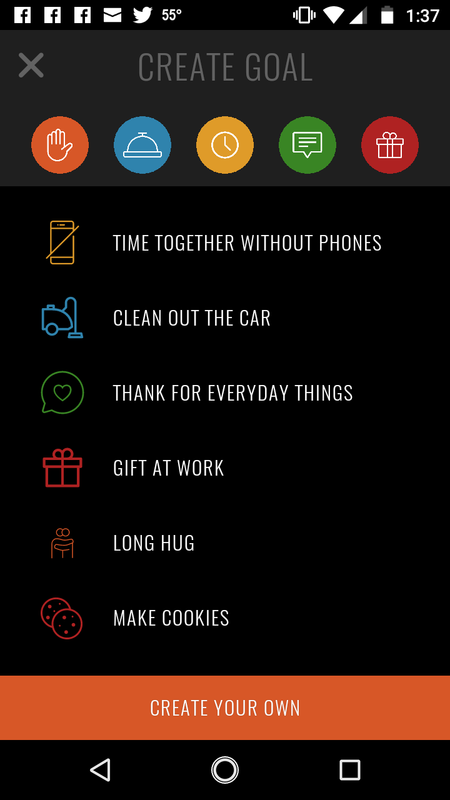 The app has suggestions for things that you can do for your husband, or you can set custom goals. The great thing is that the ones listed are color coded, so, if you husband has taken the quiz, you can see his love languages and choose things that will make him feel loved. You can also choose the tabs for your husband’s language. 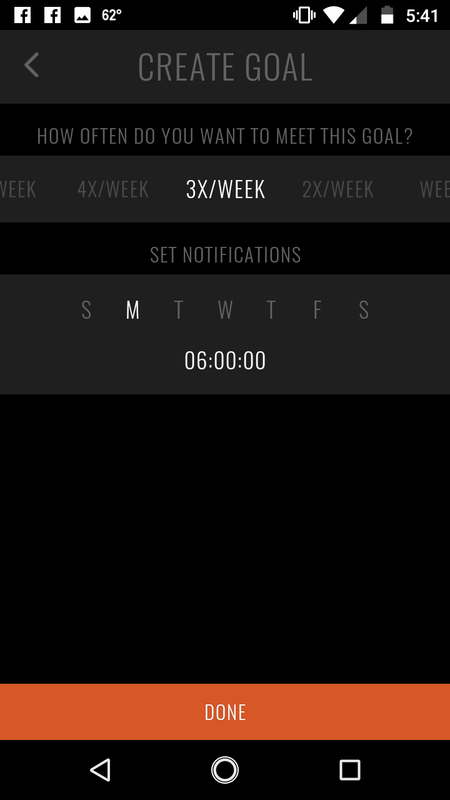 You can customize the suggested goals, setting frequency, icon, and reminders. When you have met the goal, simply tape the icon and it will mark your progress. Accidentally tapped one? Just tap and hold. Need to change something? Just swipe the description to the left. It is really nice to know what makes your spouse feel loved. 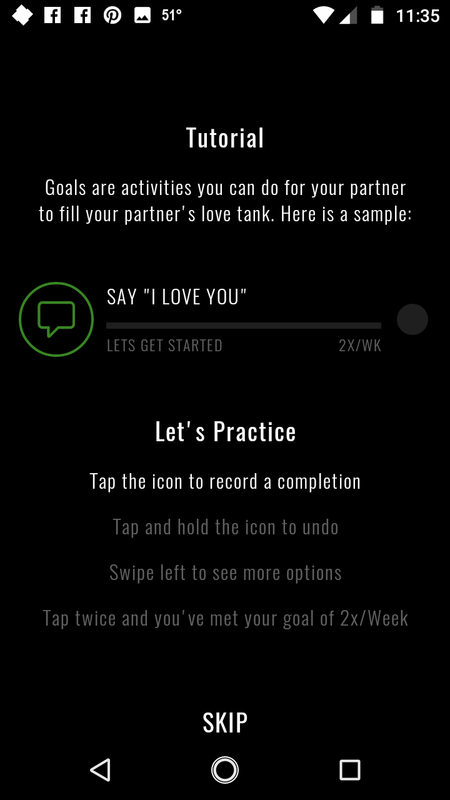 The goal suggestions are incredibly handy, as well as being able to see your husband’s love tank. Have you read The Five Love Languages? What is your love language?